Who are you and what is your game about? 'Sheepwith is a homage to cave flyers with a twist - you fly a one seated plane that has a rope attached to it. With it you can pick up and transfer objects and animals. The main object of the game is to save sheep to their pens and fly the plane safely to a home hangar. What has the process been like & do you have any tips for other game developers? 'When I was a kid I played this game called Sopwith made in 1984 by David L. Clark. I enjoyed it so much I've started making more than a few Sopwith Camel flying games since. Sheepwith started as what was supposed to be a small weekend project. I made a prototype of a plane that could pick up sheep with a rope and it seemed like it could be something. After developing from there it started getting positive comments on Twitter which gave me more inspiration to continue making it bigger and better. What makes your game different? What is the music like in your game? What do you think of game music generally? Any favourites? 'I was born in the '80s so many of my favorite soundtracks from my childhood games are considered retro today. I enjoyed music from Commander Keen, Jazz Jackrabbit, Mega Man, Lost Vikings etc. How will you market your game? Where can we get the game and why should we play it? About the author: Ninichi is a game music composer & supporter of indie games. If you are looking for some help with your game music contact me to explore how I can help. 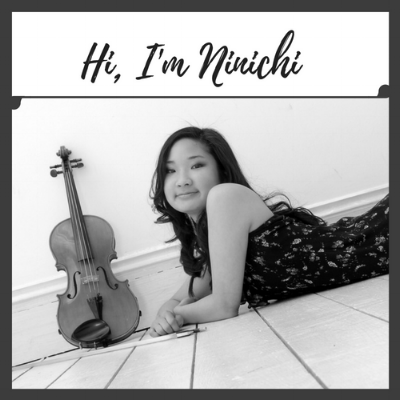 Learn more About me (Ninichi) and have a listen to examples of my game music.